Smart business owners embrace automation as a tool for business growth. The best tasks to automate are routine tasks that you must perform every month, and technology can help you complete more work in less time. Tax time is a particular challenge because you need access to all of your records for the year, and the time you invest takes you away from managing your business. Automation helps you to do more in less time, which is the key to increased profitability. Growing your sales by 10% does not always lead to a 10% increase in profit. The only way you can profit from generating higher sales is also to lower your costs. After all, if sales and expenses both increase by 10%, your profit remains the same. Here’s an example: Assume that you operate a furniture manufacturer and that you sell goods to retail stores. When a customer places an order, you incur costs to input the order into your software, locate the items in the warehouse, generate an invoice, and to ship the furniture and the invoice to the customer. Let’s say that your monthly orders increase from 50 to 200 orders, a 400% increase. If your accounting, warehouse, shipping, and other costs also increase by 400%, your profit doesn’t increase. However, if you can leverage automation, you can process more orders in less time. Maybe you invest in a new piece of retail software that speeds up the invoicing process. When sales increase by 400%, your invoice processing costs only increase by 20%. Technology allows your accounting staff to generate more invoices at a lower cost per invoice. You’re doing more work in less time, which increases profits. Managing your daily business operations is challenging, and adding more work may feel overwhelming. Preparing your business taxes is an extra task that can tie up hours of your time if you’re not careful. Use technology to minimize the amount of time you must spend on tax issues. Find tax software to prepare your return, or ask a tax accountant to do the work for you. Consider using an automated system to process your business receipts, to collect and post your expenses accurately. Frequent and routine tasks are the first steps you need to automate in your business, and processing business receipts fit that definition. If these tasks are not automated, you may face a bottleneck as your production process slows down. Manually processing routine tasks will limit your ability to increase profits. The most significant risk for a bottleneck is at tax time because you need access to all of your receipts, and each expense must be posted to your accounting records. A manual process will result in wasted time, lost receipts, a higher risk of error, and missed tax deductions. Only 1 in 5 respondents digitally track their receipts on an app, computer desktop, or mobile phone. The survey reported that 7 out of 10 people indicated that they lose at least one receipt every month, and 1 in 5 of the respondents stated that they don’t deduct every expense because they lose receipts. The dollar amounts are not always small. 1 in 3 workers has bought an item over $500 they couldn’t expense because they didn’t have the receipt. Survey respondents experienced stress related to these issues, and many owners realize that they lose valid tax deductions, due to missing receipts. These inefficient systems don’t set up companies for profitable growth. Technology allows you to scan receipts, post the expense to your accounting records, and store the receipt on the cloud. This end-to-end process will enable you to work more productively, reduce the risk of error and lost receipts, and to maximize your allowed tax deductions. As more of your workers operate remotely, using technology becomes more critical. Paper files are inefficient and not practical, especially when you have workers doing business in multiple locations. Using software puts all of your records in the same place, and keeps your files organized for tax time. Here’s an example: a salesperson spends most of her time on the road visiting clients, and your firm needs to collect the salesperson’s receipts for travel, meals, and other expenses. QuickBooks software allows the salesperson to scan her receipts using a mobile device, and the receipt can be coded to an expense account in your accounting system. A $300 hotel receipt dated March 20th, for example, can be coded to expense account #7210 travel expense- hotel. When the accounting department scans the travel expense- hotel account, each receipt will be attached to a specific accounting entry. The $300 hotel expense will be dated as for March 20th, and a picture of the receipt will appear with the accounting entry. At tax time, your firm will print the detail of each expense account. Each expense in the detailed listing includes a picture of the receipt that supports the expense. All of your documentation is organized digitally, and you have the needed documentation to post each tax deduction for your business. Apply this same thorough process to each repetitive, routine task in your business, and invest in technology to do more work in less time. When you have the chance to grow your business, you can be confident that you can take on more business and still work productively. 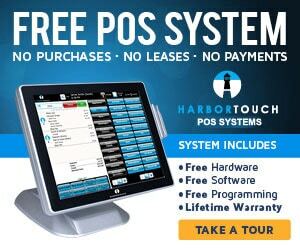 If you have a physical retail location, retail POS technology like Harbortouch Checkout can also provide the ability to connect your store data with accounting software like Quickbooks to help you breakthrough and grow your business to even new levels.